With the holidays approaching at Warp speed, it's time to start compiling your shopping lists. Before grabbing any old thing off the shelf at Target that's in the appropriate age range, it's important to think about the individual personality of each child on your list. What It Is: DohVinci is a brand new line of DYO products that allow kids to customize photo frames, vanities, wall hangings, and more. 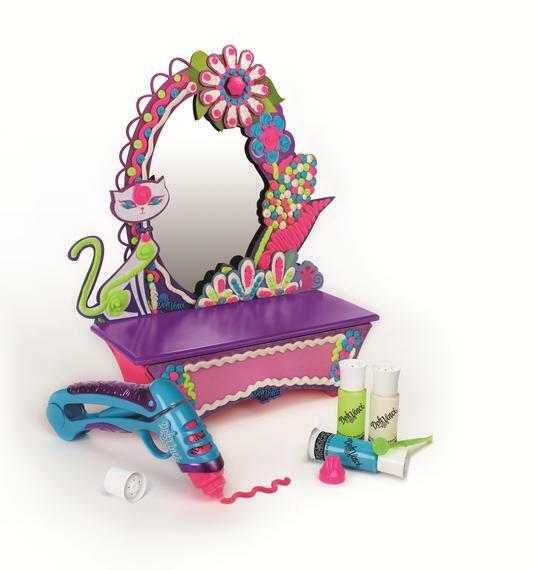 Kids simply insert the vibrant Deco Pops containing the innovative air-dry design compound into the Styler tool and squeeze to create bold, 3D lines. Why I Love it: The Deco Pops come in intensely bright neon colors, perfect for tween girls looking to get crafty. The Styler is really easy to use and the 3D effect is really neat. For kids who grew up with Play-Doh but are looking for something more challenging and age appropriate, DohVinci is the answer. 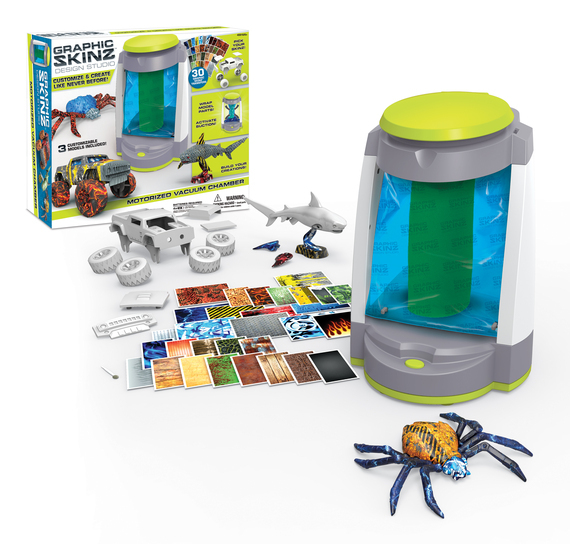 What it Is: Graphic Skinz Design Studio allows kids to apply full-color skins to 3D objects using a really cool motorized vacuum chamber. The kit includes 30 different skins kids can choose from. They simply remove the backing from the skin, place it over one of the included model pieces, wet the included sponge and wrap it around the model piece, and insert it into the vacuum chamber. The skin will adhere to the piece, creating something totally original. Why I Love it: Kids can skin any item that's OK to get wet, like a smartphone case or hair clips. Plus, you can add multiple skins to one item, creating a sort of collage effect. 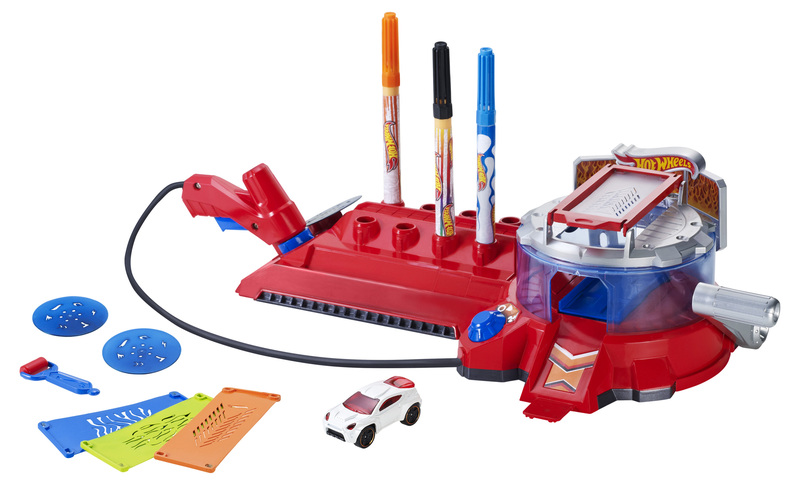 What it Is: The Hot Wheels Car Designer allows kids to take official Hot Wheels cars and make them completely unique. Kids can take the include "blank canvas" van and place it onto the rotating platform, then, insert one of the water-based markers into the airbrush and get designing. The set also comes with stencils to create cool flames, stripes, and other fun designs. The ink dries quickly, and the set even features a fan to speed up the process. Why I Love it: Kids love Hot Wheels -- a brand that's been around for decades. But now, they have the opportunity to insert creativity into car play, fusing two play patterns: classic play and DYO. What It Is: The Virtual Design Pro fuses creative play with technology by allowing kids to use classic Crayola products to design their own fashion sets or cars and then bringing them to life in an app. Kids simply use the included fine-tip markers, stencils, and colored pencils to draw in the included booklet and scan their creations into an app to bring them to life on the fast track or the runway. Don't worry parents -- the app is compatible with both iOS and Android devices, so it should work with any device you may have. Why I Love it: It's no secret that kids love to get their hands on our tablets, but this product allows them to consume the tech they crave while also inspiring their creative senses in a traditional way -- coloring. 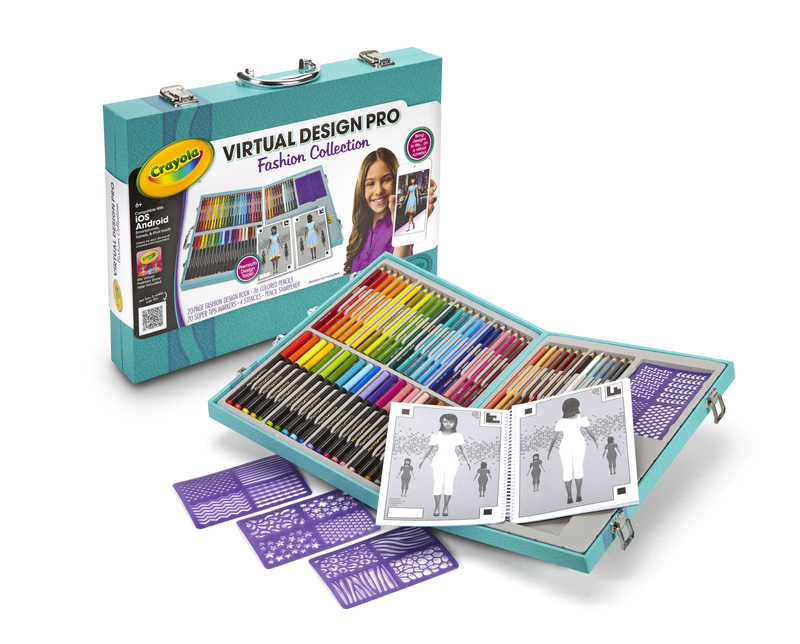 Crayola products are always high quality and kids are already familiar with them, and the Virtual Design Pro allows them to bring their inner Picasso to the 21st century. What It Is: It's My Biz is a line including four different kits that allow girls to design their own T-shirts, cupcakes, nail art, or jewelry and then form a successful business around their creations. Each kit includes the necessary materials to create unique products, as well as receipts, order forms, business cards, and more. Why I Love It: These kits introduce girls to entrepreneurial skills in a unique way that I have yet to see in the toy industry. Best of all, they make business approachable by teaching and encouraging best practices through activities and play patterns girls already love. While DYO is a hot play pattern this year -- all kids are different. Stay tuned for more trends for every kid on your list.